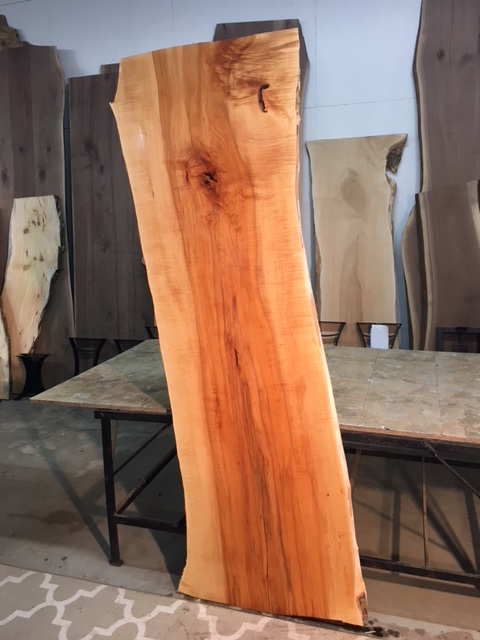 Live Edge maple Slabs. 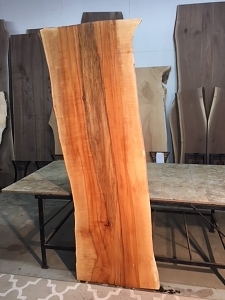 Curly live edge maple slabs. 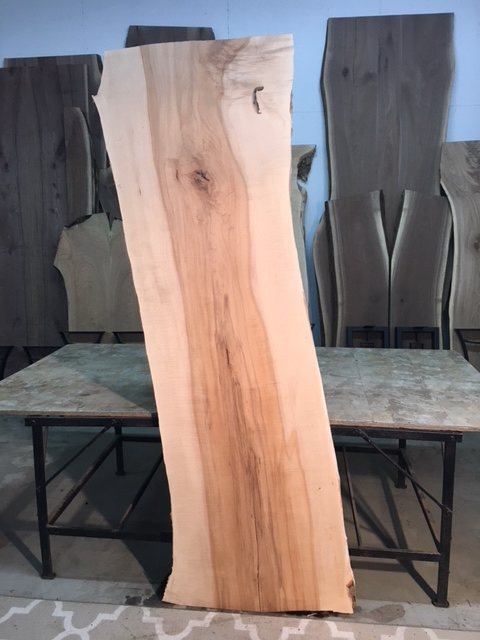 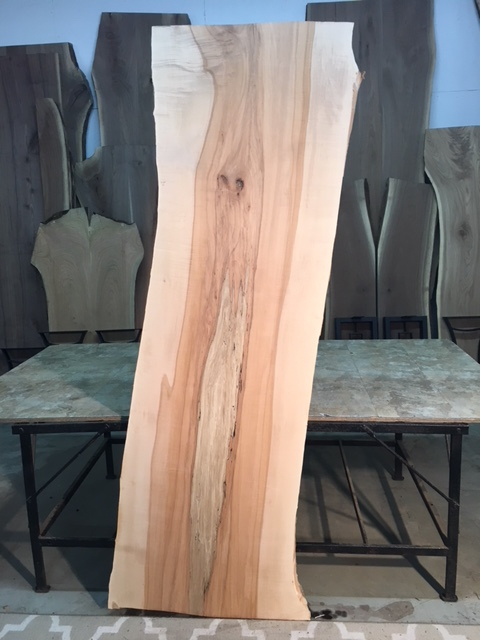 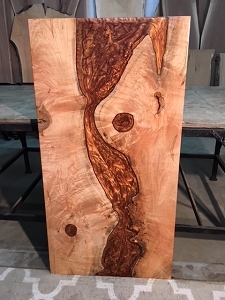 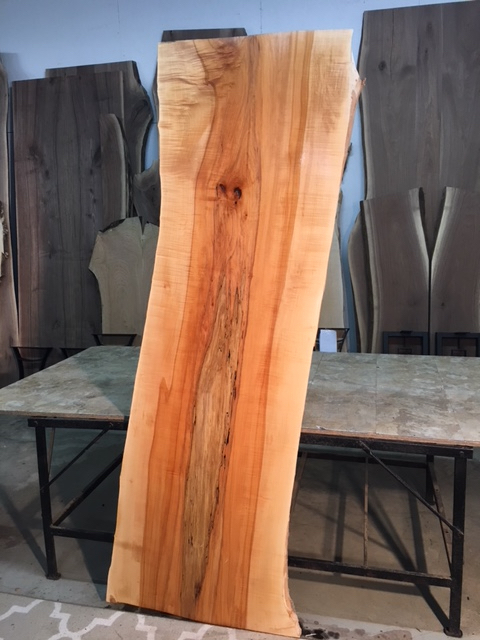 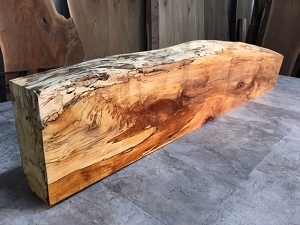 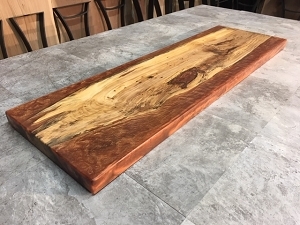 Live edge salvaged Maple for sale at Ohio Woodlands. 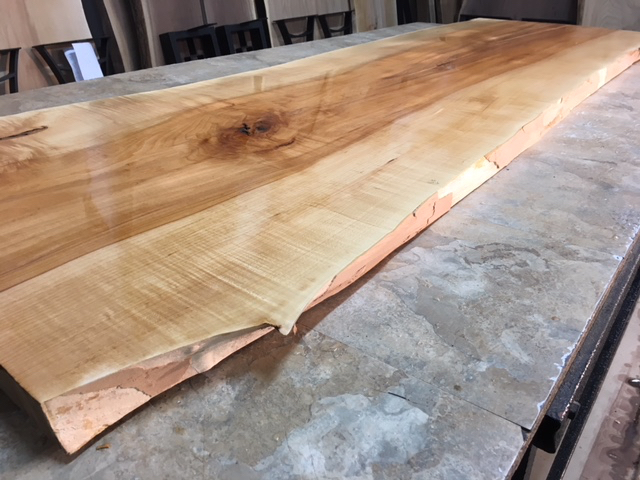 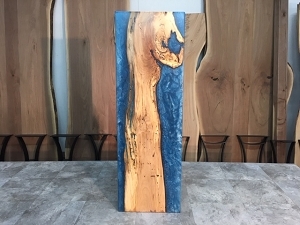 Jared Coldwell live edge maple. 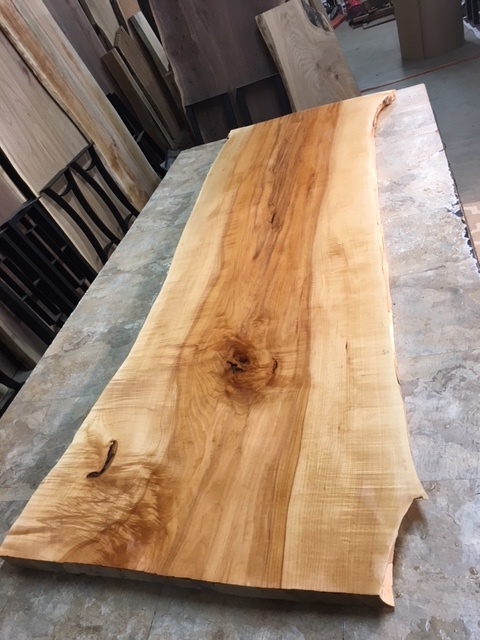 THICK HARD MAPLE LUMBER!! 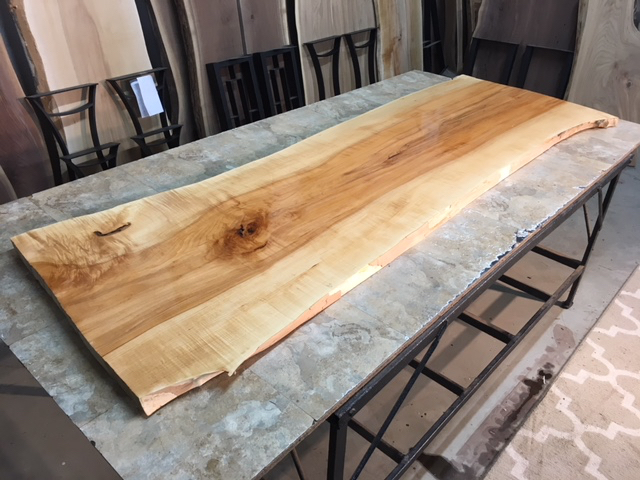 1 SLAB. 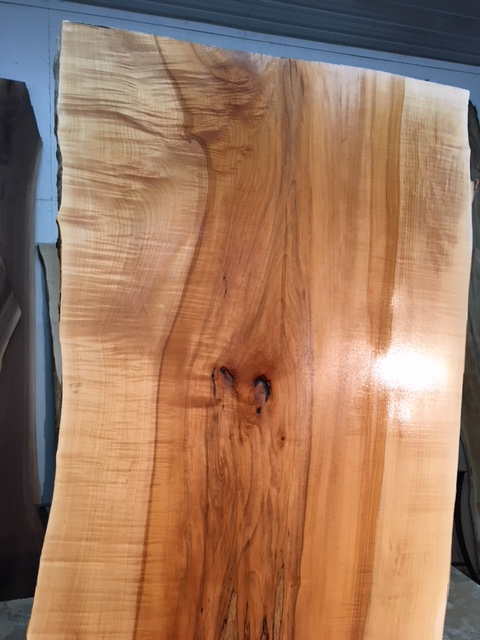 Some Nice Curl. 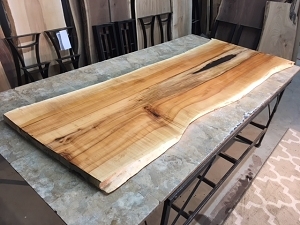 GREAT FOR A COUNTER-TOP, LONG VANITY, OR BAR TOP. 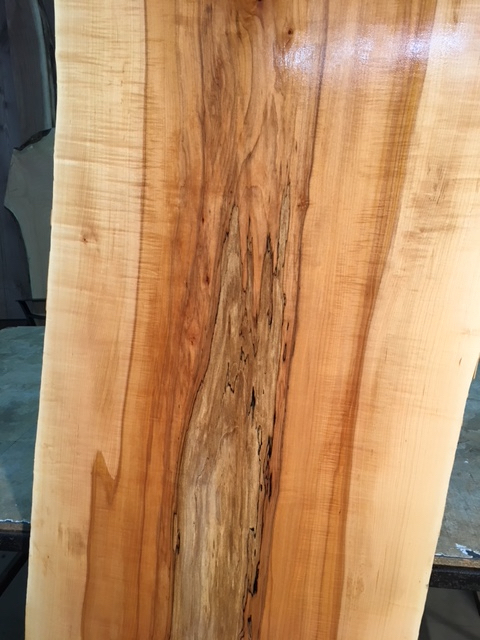 Some Curl, Has Been Sanded, A Few Stress Cracks, Solid And Heavy Duty.